Inclusions: Stainless steel: Fridge, stove & range hood, built-in dishwasher, stackable washer & dryer, electric light fixtures and window coverings. Locker: Ownership of 1 locker #130 (approximately 32 square feet). Spacious, Beautifully Upgraded Suite! A beautiful south facing sub-penthouse! Excellent layout with 1 bedroom and large den, tastefully renovated and decorated throughout. Ownership of 1 underground parking spot and locker! 5 star building amenities include a 24 hour concierge. Enjoy living in this wonderful, quiet, friendly, well-run building with a nice blend of working professionals, young families and retired empty nesters. A desirable combination of space, location, & affordable all inclusive maintenance fees allowing for care free living & easy budgeting! With a Walk Score of 98/100 the world is your oyster to discover on foot! A desirable uptown neighbourhood surrounded by an array of recreational activities, excellent shopping, restaurants and theatres. Walk to either Sheppard or North York subway stations just minutes away. Zoned for sought after Earl Haig Secondary School district! Known for its outstanding academic reputation, also highly regarded for its Claude Watson Arts program where students can major in dance, drama, music or visual arts. Entry foyer features a large double front hall closet! Oversized open concept living/dining room is a delight for entertaining! Large picture windows fill the room with loads of natural light. Upgraded kitchen is where everyone gathers. Granite counters, stainless steel appliances and tile floors for easy cleanup. Extended breakfast bar is ideal for casual dining and conversing with friends and family while hosting gatherings. Expansive and bright master bedroom with wall to wall windows and a large walk-in closet. The spacious den is situated on the opposite side of the suite for optimal privacy! Useful as a home office/T.V. room or an easy conversion into a 2nd bedroom by adding a door. Convenient space for a roommate or nursery. The choice is yours to do whatever suits your needs! Updated 4 piece bath off the main hallway is convenient for guests to use as well. Ensuite laundry with stackable washer & dryer are nicely tucked behind closed closet door in the den. A vibrant and cosmopolitan urban centre filled with luxury condominiums, custom built homes, shining office towers, newly renovated shopping malls and theatres , world-class aquatic centre and the highly acclaimed Toronto Centre for the Performing Arts which hosts local and world class entertainment. A shopper's delight! Sheppard Centre has a large variety of banks, brand name stores, medical/dental offices, electronic stores, Goodlife Fitness and specialty stores. The posh Bayview Village Shopping Centre located at the north-east corner of Bayview & Sheppard is known for its high end selection of clothing stores and restaurants. The Yonge Street shopping district offers a mix of small retailers, big box stores and one-of-a-kind specialty shops. This vibrant shopping mecca also features an international selection of restaurants including French, Italian, Greek, Chinese, Japanese and Middle Eastern foods. Plenty of wide open green spaces & parks surround! 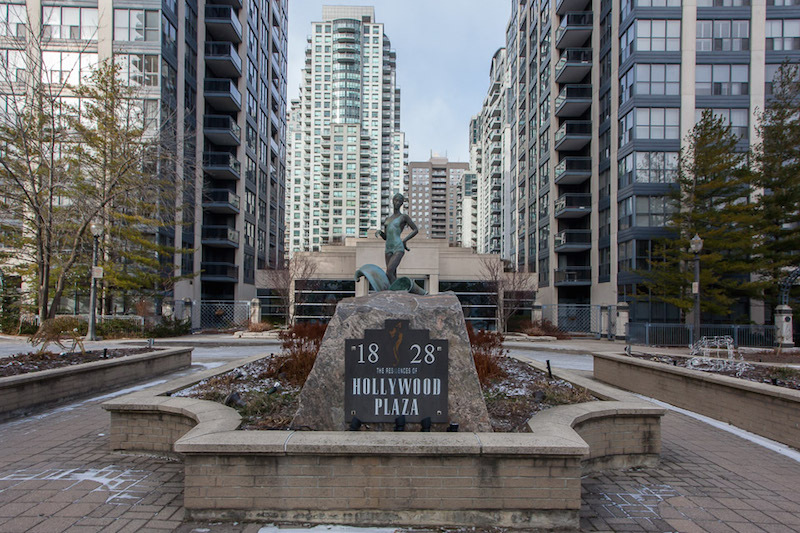 Willowdale Park, Mel Lastman Square, Spring Garden Parkette and Princess Park are all close by. 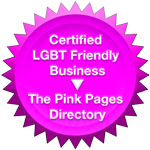 Lots of local recreation! The North York Civic Centre a multi-faceted facility that includes the Douglas Snow Aquatic Centre and the North York Central Library . Mel Lastman Square is equipped with a spacious amphitheatre, intimate wedding pavilions, garden court and a reflecting pool which doubles as a skating rink in the wintertime. The Centre for the Performing Arts also includes the Art Gallery of North York, George Weston Recital Hall and the Studio Theatre. The North York Tennis Club is just down the street as well for all you tennis enthusiasts. Cineplex Cinemas Empress Walk is directly connected to the North York subway station. Conveniently located for those movie date nights! The North York YMCA is the largest recreational facility serving this neighbourhood. Some of the programs offered include gymnastics, karate, swimming, basketball programs for children, aerobics, yoga and aquafit. Facilities at this centre include a gymnasium, dance studio, conditioning room, main swimming pool with lanes and a training swimming pool. Desirable neighbourhood schools attract many families with school age children! McKee P.S., Bayview M.S and the popular Earl Haig Secondary School as well as many private, Catholic and alternative schools nearby! A commuter's paradise with a transit score of 95/100! Walk to either the North York or Sheppard subway platforms connecting to the Yonge-University-Spadina subway lines. Motorists are approximately twenty minutes from downtown via Yonge Street. Get in and out of the city in minutes via Highway 401 located just minutes away off of Yonge Street. 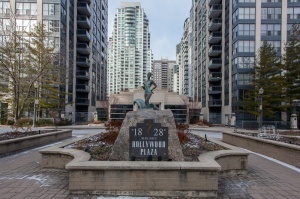 Hollywood Plaza I #18 and II #28 were built in 1995 by the developer Camrost Felcorp. Phase 1 consists of 19 storeys and 143 suites. Phase 2 is just 17 storeys and 145 units. These two high-rise condominiums make up the Hollywood Plaza buildings. First class amenities include: A fitness centre, indoor pool, His & Hers saunas, party room, meeting/function room, library, games room, outdoor courtyard and visitor parking. A super safe building with a 24 hour concierge and video surveillance at every entry way! The North York & Sheppard Subway stations are just around the corner as well as the 401 east and west on ramps just a few blocks south of Hollywood Ave.
2010 ~ New stainless steel kitchen appliances (except for the dishwasher).